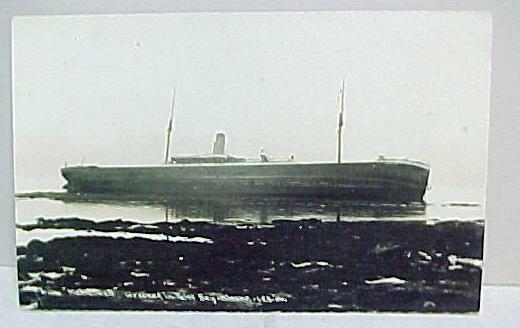 In late 1905, a German-registered tramp steamer named the Mariechen set out from Puget Sound to Vladivostok, Russia. 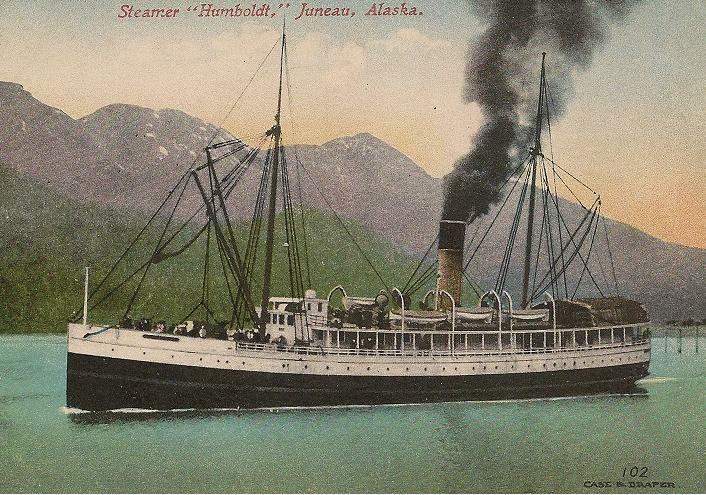 The steamer was owned at the time by Diederichsen, Jebson & Co of Hamburg, and was known for running contraband to Russia and Hong Kong. 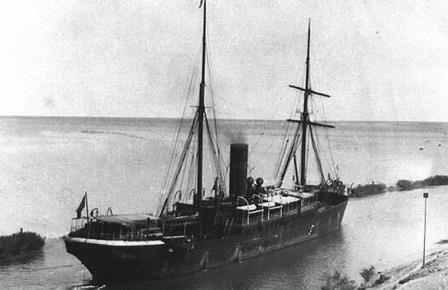 In 1905 she was reported as planning to run a blockade on the Vladivostok Harbor. Photo courtesy of the British & Commonwealth Shipping Company record website. 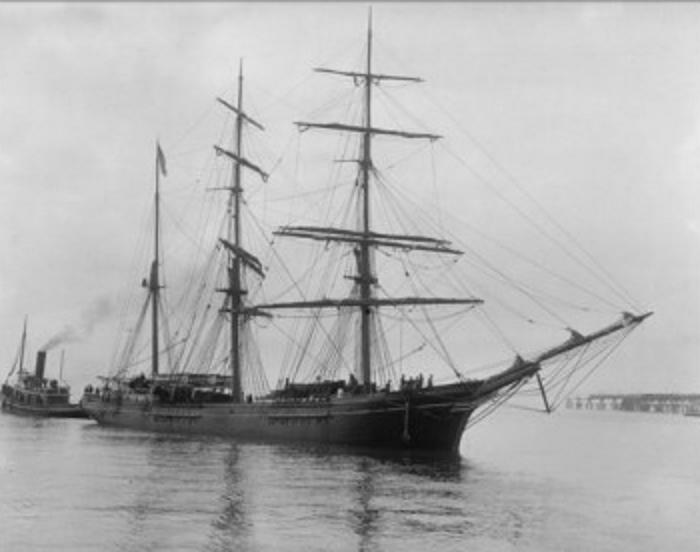 The ship was originally built in 1883 as the Clan Matheson of 3,917 tons. The ship had a history of problems, including fires on board and a prior grounding in the Suez Canal. Traversing the outside coast of Alaska in December is a risky proposition even today. The ship ran into typical winter storms, then suffered an engine breakdown. Conflicting reports then state that the ship was either adrift for a month, or “beating around near Point Retreat” looking for an anchorage. 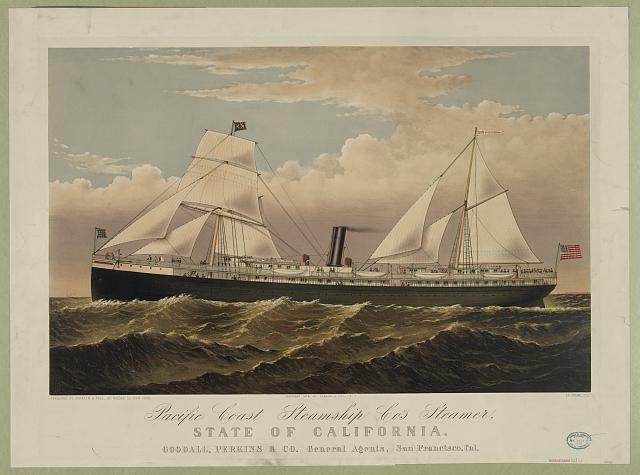 The ship likely had customs issues which would have dissuaded the crew from seeking a port like Juneau or Skagway. Marine radio technology was fairly new and temperamental, and the ship may not have had a working wireless set. 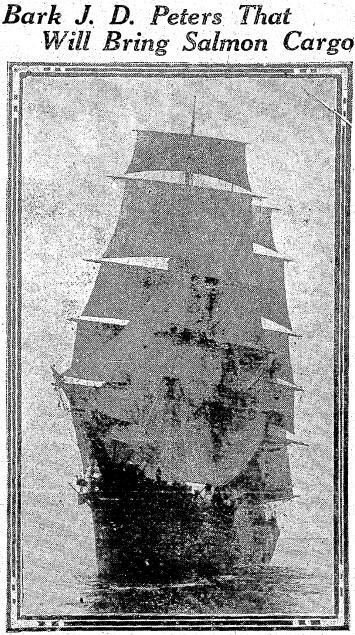 It’s possible the vessel was trying to use sails after the engine died, the first photo shows very tall masts and spars indicating square rigged sails, but some of the spars are missing in the post-wreck photos. 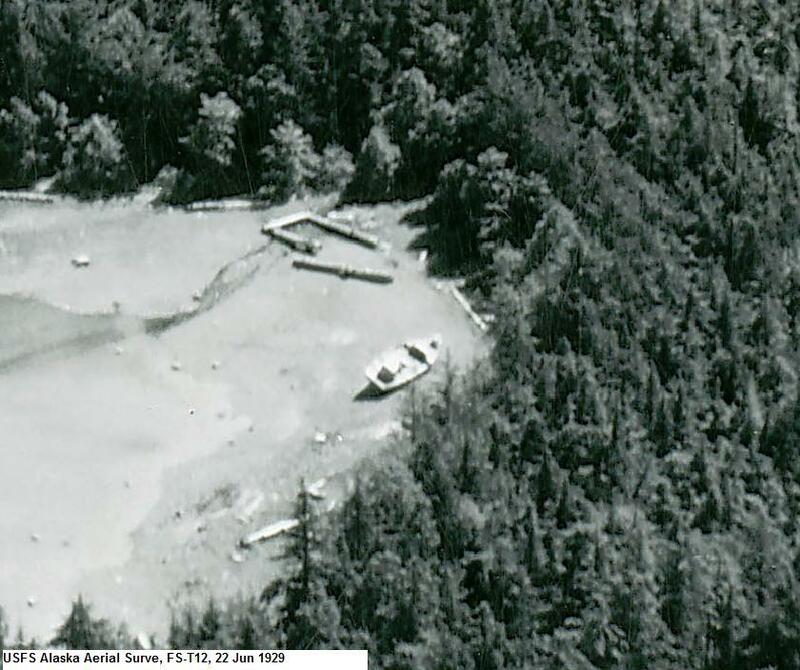 In late January of 1906, the ship finally went aground at False Bay, south of Funter on Chichagof Island. 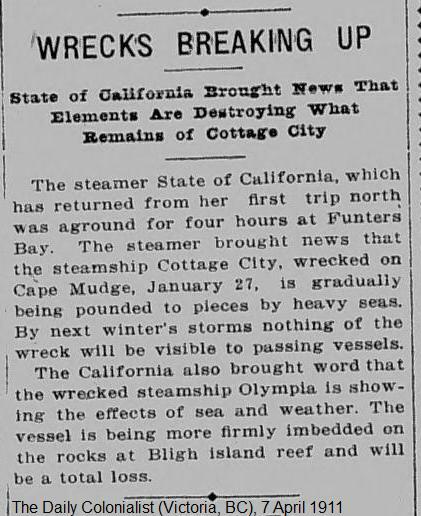 Excerpts from the wreck report note that the compass froze up, the steamer had no charts of the area, and visibility was low due to a snowstorm. The master of the ship was listed as Captain Rudolph Heldt, with Chief Officer Charles Pruet. The crew was mostly Chinese, who were “rounded up and deported” after the wreck. There were apparently no fatalities, but the cargo was lost. One document blames “local Indians” for the loss of the cargo, but period articles mention many local vessels salvaging “Food, flour, and beer” from the hulk, and selling some of it in nearby towns. 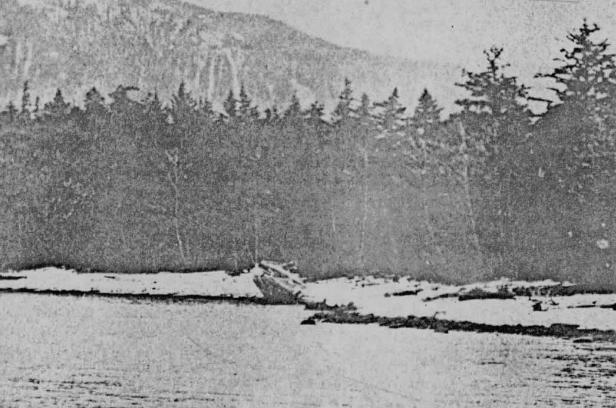 An article from December 1906 described a feud over “several loads” of beer looted from the wreck by Robert Reid of Tenakee. Local tough Norman E Smith demanded a cut of the loot, and threatened Reid’s family. Reid then killed Smith with a shotgun at Snyder’s store in Tenakee. Courtesy of Alaska State Library, William R. Norton collection, P226-612. 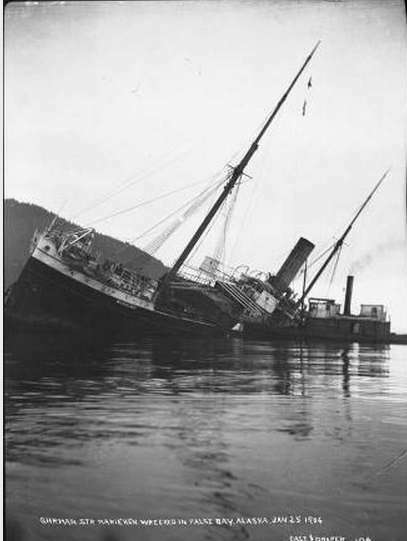 After the wreck, the British Columbia Salvage Co had the contract to refloat the vessel and tow it South for scrapping. The salvage tug Salvor was sent to the area, and the crew used Funter Bay as their base of operations. The tug would periodically stop at the cannery for fresh water and safe anchorage during storms. A March article notes that the water pipes at the Funter Bay cannery were frozen, so the Salvor had to come to Juneau for water. In April of 1906 the Salvor finally got the Mariechen floating, and towed the hulk into Funter Bay. It was further patched at Funter before being towed to Juneau in May, then on to Victoria, BC. Postcard of hull from beach. A detailed report of the salvage operation, including a photo of the damaged hull in drydock, is available here. Good, Warren. 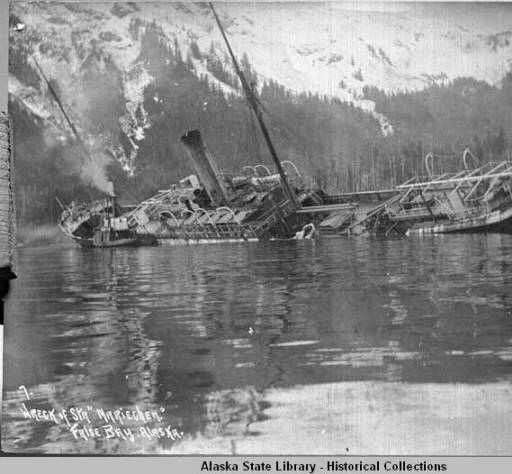 “South East Alaska Shipwrecks (M) ” Alaska Shipwrecks. Web. 16 July 2013. <http://alaskashipwreck.com/&gt;. “SS CLAN MATHESON Built by Napier Shanks & Bell Yoker.” Clydebuilt Ships Database. Web. <http://www.clydesite.co.uk/clydebuilt/viewship.asp?id=8212&gt;. “Clan Matheson.” The British & Commonwealth Shipping Company; A Record of The Ships And The People That Served Them. Web. <http://www.bandcstaffregister.co.uk/page542.html&gt;. “Salving the Mariechen.” Marine Review 34 (1906): 16-17.